The PTS Enhanced Polymer Magazine LR, or EPM LR for short, is built specifically for the PTS Mega Arms MML MATEN Gas Blowback Rifle. 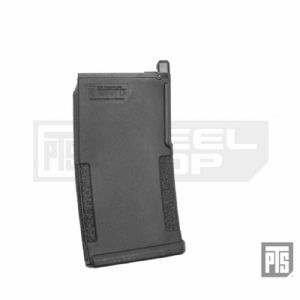 Externally, like its smaller PTS EPM magazine counterpart, it features a rugged Dupont™ Zytel polymer shell. The magazine is designed with recessed panels for better grip and smooth magazine well guides that eliminates the chance of snagging when the magazine is withdrawn from or reinserted into pouches. The front of the baseplate features a dot matrix which allows the user to mark the magazine with alphanumeric characters or pictograms for identification. 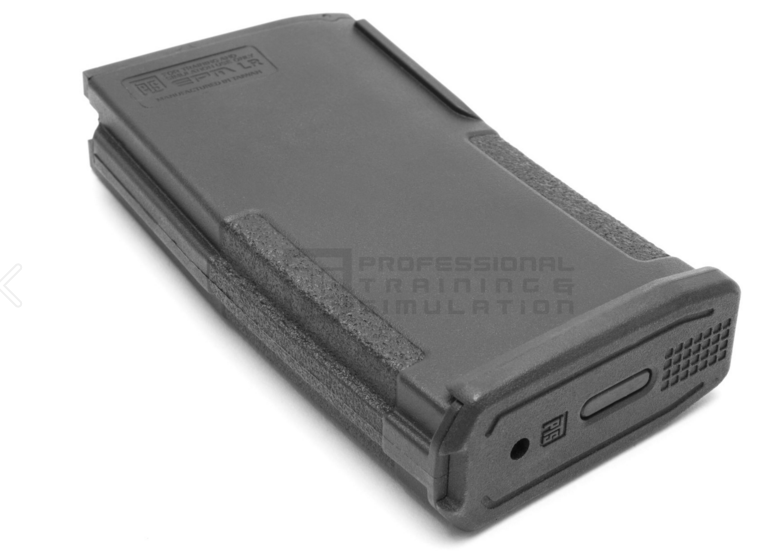 The top of the magazine also features a Bolt Lock Release Unit which, when switched on, prevent the bolt from locking back on an empty magazine thus allowing you to simulate shooting without ammo.